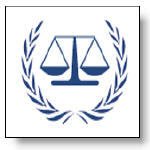 The International Criminal Court made public on Tuesday an arrest warrant for Congolese militia leader Bosco Ntaganda. The warrant was delivered on August 22 2006 and kept under seal until now. Bosco Ntaganda, known as "The Terminator", is accused of forceful enrollment of children under the age of 15 for military service in the Ituri region. The warrant alleges that these children received military training from the Forces patriotiques pour la libération du Congo (FPLC) in training camps in Bule, Cantrale, Mandro, Rwampara, Irumu, Bogoro and Sota. The IIC has previously issued three other arrest warrants related to the situation in eastern Congo. Thomas Lubanga, Germain Katanga and Mathieu Ndgudjolo are already in custody and waiting to stand trial. Bosco Ntaganda is said to be active now in the Kivu provinces where he continues to commit war crimes. He is said to have taken the position of Chief of Staff in the CNDP militia group headed by Laurent Nkunda. The CNDP has been accused of numerous war crimes in the Kivu provinces which are now under investigation by the ICC. The ICC prosecutor asked "all concerned States authorities and actors to contribute to his arrest and surrender him to the Court".